Gunki Loaded Texan Flash Hooks are avaiable in a variety of weights and hook sizes to suit different lures and fishing depths. A screw fitting allows you to easily and securely attach a soft bait to the hook. Great for fishing through weedbeds or other snaggy swims and fitted with a blade for extra vibrations and visual attraction which will guarantee extra fish on the bank. 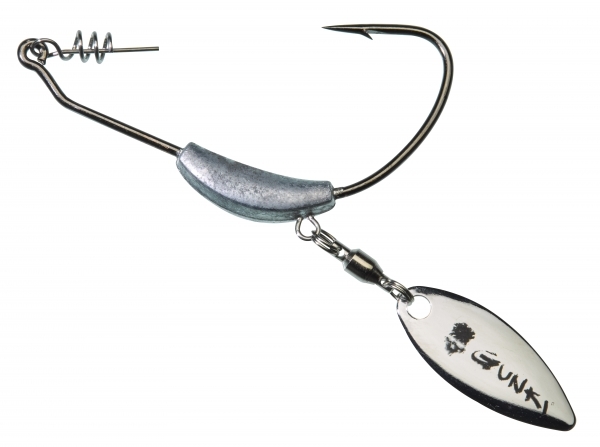 Supplied in packs of 2 hooks per packet and available in 6 different weights and sizes.